What stands behind the Hong Kong dollar? 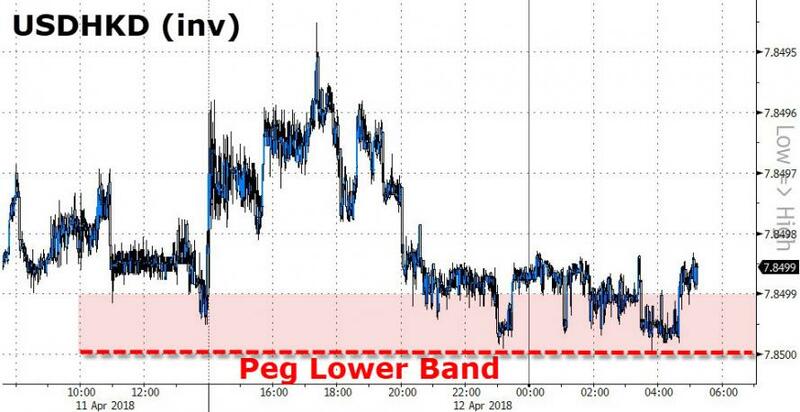 How much can they intervene until it breaks (Soros-British Pound style)? The Hong Kong dollar is backed by the HK$4 trillion (US$513.5 billion) Exchange Fund, one of the world’s largest foreign exchange reserves. The fund, established as an asset war chest for defending the currency’s value, also makes investments, earning a record HK$252 billion in 2017 income. However, they face an uphill battle as money flows are against them in the global carry trade. 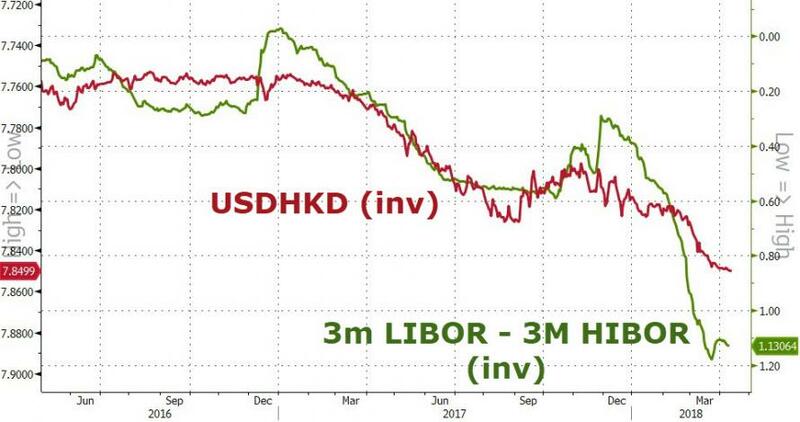 As more traders pile on to the carry, more pressure is placed on the Hong Kong dollar, causing it to weaken further against the US currency… and The Fed’s plan to hike rates (as many as four times) will do nothing to help ease the situation – meaning any dollars sold in defense of the weaker HKD will be battling global carry trade flows driven by The Fed’s tightening. On Which Side Is HKD?